Let’s enjoy an evening meal, Lister style! 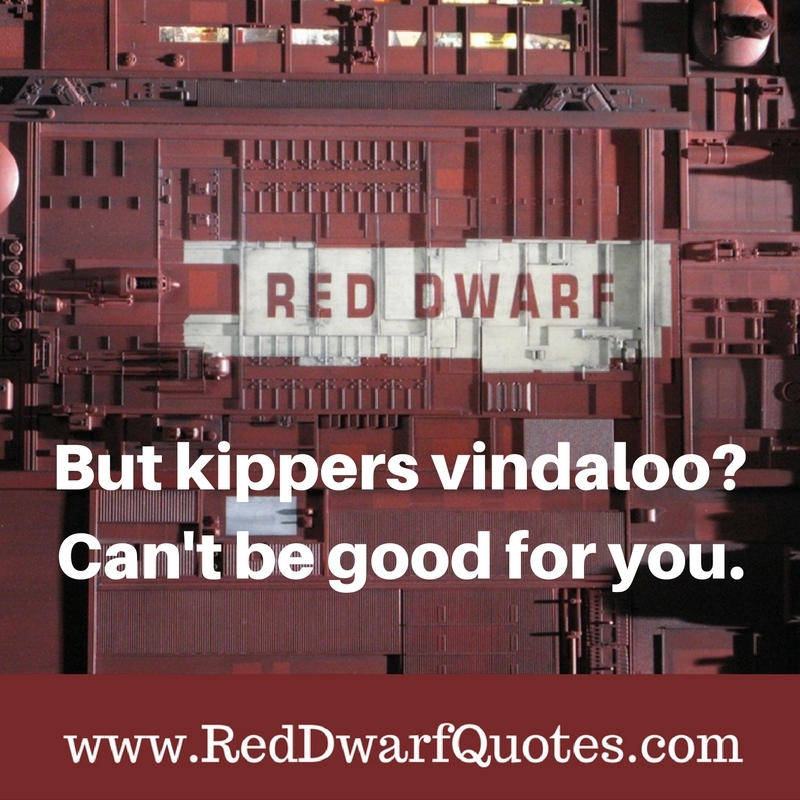 Has anyone actually tried eating kippers vindaloo? 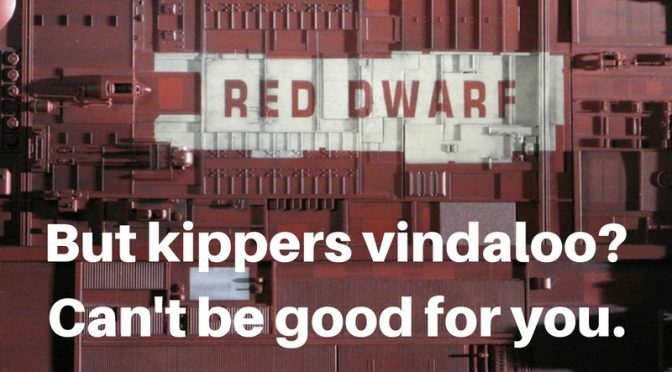 We have to say, we’re tempted!